With the cricketing summer still underway, Australia now take on Sri Lanka in the longer format as they try and salvage pride after a disappointing run against India in the test and ODI series. While Australia are on the mend themselves with as many as three young players ready to make a mark in international cricket, Sri Lanka have a lot to ponder themselves with an eventful test series against New Zealand proving that they are still some way off the charts. With the match set to be held at The Gabba, the first test match between Sri Lanka and Australia should be able to provide the entertainment which the test format has been offering off late. Joe Burns is back and Kurtis Patterson is set to make his debut. Travis Head should bat at number six with Tim Paine leading the side and batting at number seven. With Josh Hazelwood's injury, Jhye Richardson is set to get play. While Sri Lanka did lose the test series against New Zealand, the fight Angelo Mathews and Kusal Mendis put up in the first test was batting of the highest order and proves that Sri Lanka are no pushovers by any means. With Angelo Mathews unavailable, Lahiru Thirimanne is set to make a comeback to the side after a brief hiatus. Danushka Gunathilaka has been sacked after a disastrous tour of New Zealand and should be replaced by Thirimanne at the top of the order. The bowling unit should comprise of Suranga Lakmal, Lahiru Kumara and Dushmantha Chameera with Dilruwan Perera playing as the lone spinner. Wicket-keeper: While both keepers are slated to bat deep down the order, which isn't an issue in test cricket, Niroshan Dickwella should be the preferred choice over Tim Paine with the Sri Lankan in good touch throughout the New Zealand tour. His flamboyant style of batting is easy on the eye and is effective too. Batsmen: Usman Khawaja and Marcus Harris were good against India but their inability to score big runs went against the team and they would be eager to rectify the mistake. 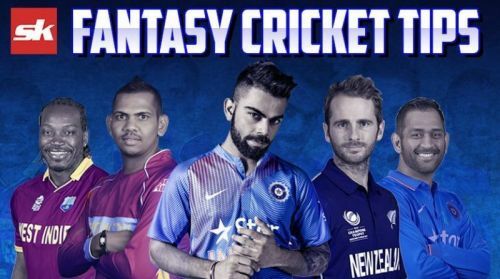 Big runs are expected of the two and they should be included in the fantasy teams as well along with star batsman, Kusal Mendis. Either of Karunaratne or Roshen Silva would also be a handy option to go by. All-rounders: Pat Cummins' talent with ball is well known to one and all, but it has been his batting that has taken the cricketing world by surprise. The New South Wales pacer has been exemplary with the bat and has put in vital contributions from the lower middle order position. He should be in the fantasy team just on the basis of bowling itself with batting raking in handy points too. Bowling: Mitchell Starc, Nathan Lyon, Suranga Lakmal and Lahiru Kumara are the ideal set of players to select in your fantasy sides. Lyon is in the best wicket-taking form of his life and cannot be dropped. Similarly, Lakmal too has been in good form with the Sri Lankan even wreaking havoc through New Zealand's top order in the second test. Captain: Usman Khawaja is the prime candidate for captain with his penchant for runs at The Gabba well known to the cricketing audience. Either of Pat Cummins or Marcus Harris would also fit the bill with both in-form players ready to feast on a fairly depleted Sri Lankan side.